This wouldn't be the first time that a character from this alternate universe has made it's way into a Marvel movie. The Chitauri from the original Avengers flick were also taken from the Ultimate Universe, also known as Earth-1610. 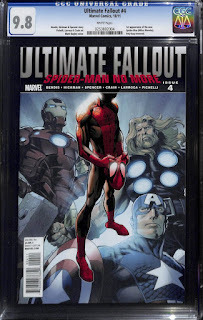 On Earth-1610, Peter Parker is killed by Norman Osborn and The Six while protecting his Aunt May and other loved ones. 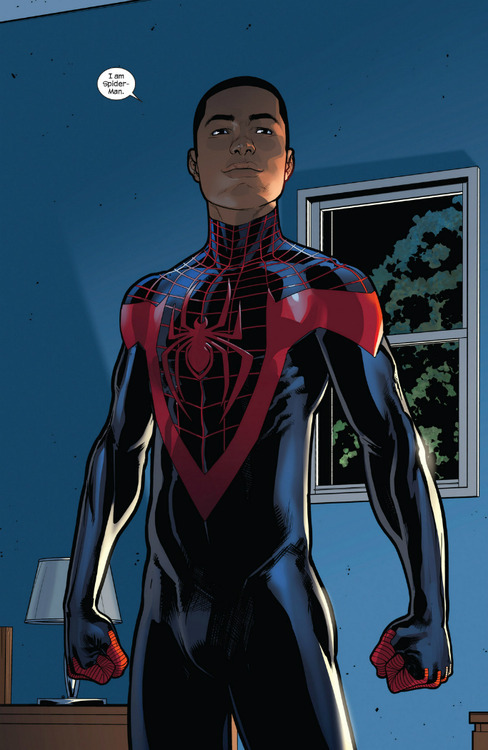 After his death, Miles Morales is bitten by a spider, and gains super human strength and spider like abilities, just like Peter did, eventually taking up the mantle of Spider-Man where Peter Parker left off. 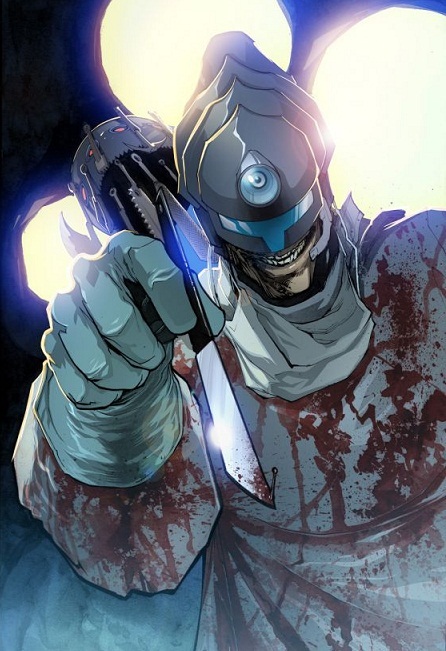 In the Ultimate Universe, Reed Richards is a bit off of his rocker. He winds up faking his own death, and starts calling himself The Maker. After the Fantastic Four disbanded, Richards' view of the world becomes a bit skewed. He recruits several people, who's aim was to evolve, and formed The Children of Tomorrow. Their goal is to conquer the world and mold it into The Makers vision. Ultimate Fallout #4 isn't a hard comic to find if you're in the market for an ungraded copy. According to Comichron.com, it has a print run of 73,764 copies. I know there are some people might say that isn't a high print run, but it was the fifth most printed comic in the month that it was released, so, to me, that's pretty high. Finding already graded copies might be a little more of a challenge than finding raw copies. According to the CGC census, there are only 803 copies graded by them so far. But, a quick search on eBay, and you can see that there quite a few of those 803 listed, so I guess it won't be too much of a challenge after all. As you can probably guess, since this comic came out in late 2011, most of the copies are in high grade. Of the 803 copies listed, 647 of those are graded between a 9.2 NM- and 9.8 NM/M. 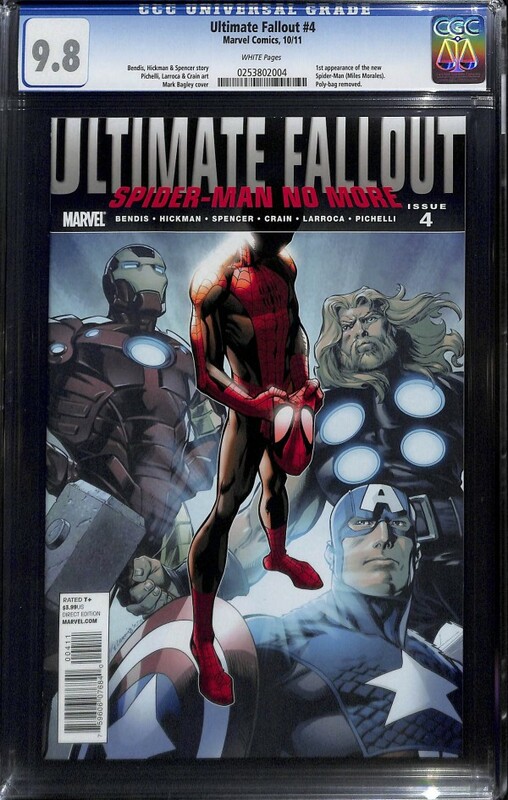 Sales for high grade copies of this issue have seen a small bump in value over the last few months. In the beginning of this year, a 9.8 NM/M copy would have cost you about $100, give or take a few bucks. The latest sale on eBay was a nickle under $275. Most other grades haven't seen the same demand, at least not yet. Most other grades have had a small rise or been holding steady, and a few have seen a drop in value. I doubt that trend will continue if it does turn out that Miles Morales will make an appearance in the new Spidey flick. There is a variant cover and a second print of this comic out there too. I have no idea what the print numbers are on either one of these, but if you're a variant hunter, I want you to be aware that they exist.